Our strong track record within the global wind turbine industry and the cement & minerals industry have led us to develop services and production methods that are particularly well suited for large, heavy industrial machining, assembly and logistics, and to the development of lifting and transportation equipment for wind turbines. 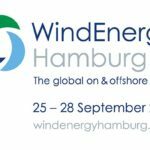 We continue to serve the wind industry and the cement & minerals industry, but our activities cover many other business areas and industries – from marine and offshore to process industry and foundries etc. We are always ready for a challenge. If your industry does not appear in the list, and if you are looking for a competent and experienced machining, assembly and logistics partner for and steel components, look no further – give us a call today.